Hi kiddos, how’s it going? I have some awesome news – I got a new computer!! My new-fangled spaceship-like laptop is super awesome but I’m still getting used to it (and trying to keep it away from all food products – I think scrambled eggs played a part of the demise of the last one). Since I needed a new laptop, E and I went home for the weekend so my dad could come with me. And what a weekend it was! We decided that it was so close to Halloween, we should celebrate. So we did. We drove down to home Thursday and we celebrated my birthday a little bit early – nothing says welcome home like cake! It was delicious and I appreciated all the birthday love. 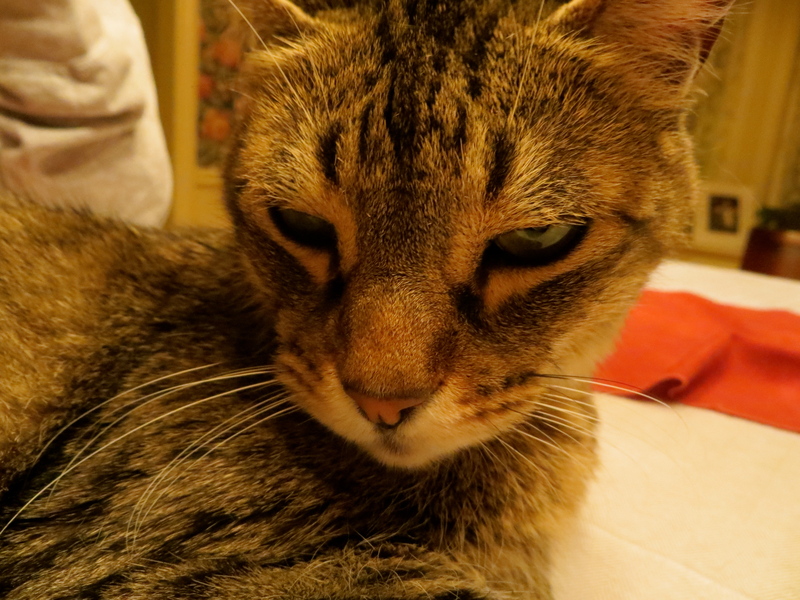 My cat was very enthusiastic to see us again too. Friday was full of running errands (like putting the dreaded snow tires on the car), doing a little yard work, and shopping like crazy. It was the perfect low-key day that helped me recharge my batteries and reconnect with the family. But Saturday was Halloween Day! Actually it was Laptop Day first. After a teary-eyed morning at the electronic store (my first blog was written on that old laptop! 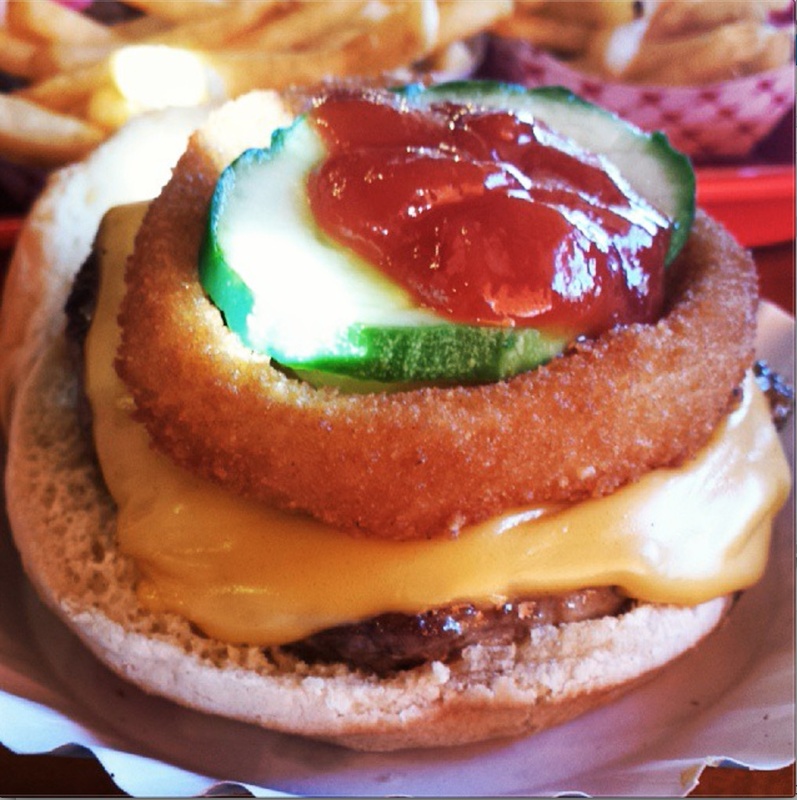 ), my father suggested that we should have lunch at a favorite family burger joint. And they are known for this. 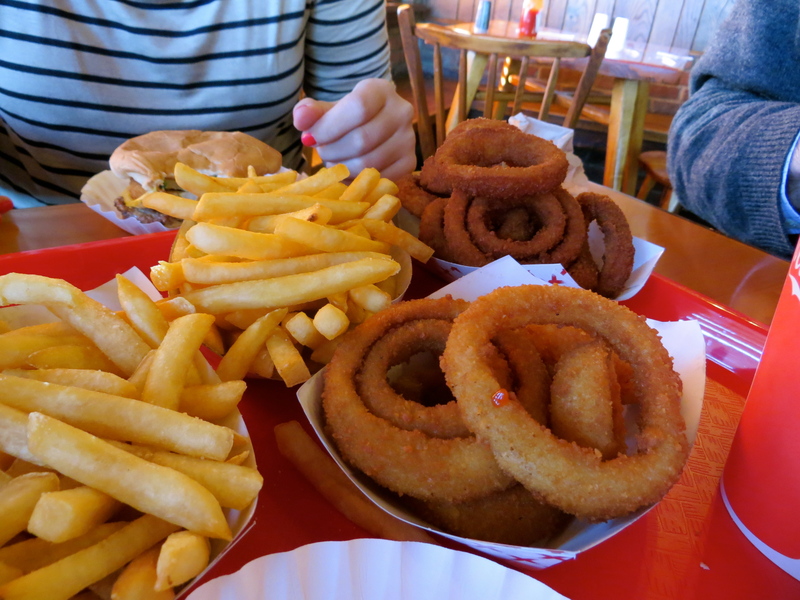 Onion rings are my weakness… especially these onion rings. They are crisp and crunchy, while the onion is still sweet and tender in the middle. The French fries aren’t half bad either. Another reason why I love this burger joint is that they have big bowls of homemade pickles. 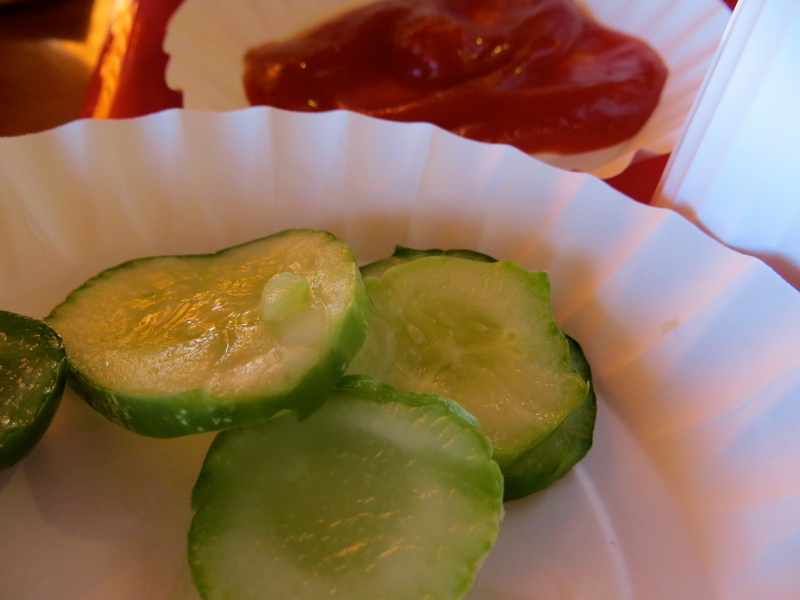 They are lightly brined and super crunchy, which is a perfect complement to the earthy burger – if a kosher dill pickle and a fresh cucumber had a baby, this would be a result. They are amazing and I probably eat more of them than the onion rings. Those are the only ones left on my little plate before I remembered to snap a photo. Then they were gone too! I had to steal this photo off of my sister’s phone – she has such a way with food photography (and her burger building skills are pretty awesome too). 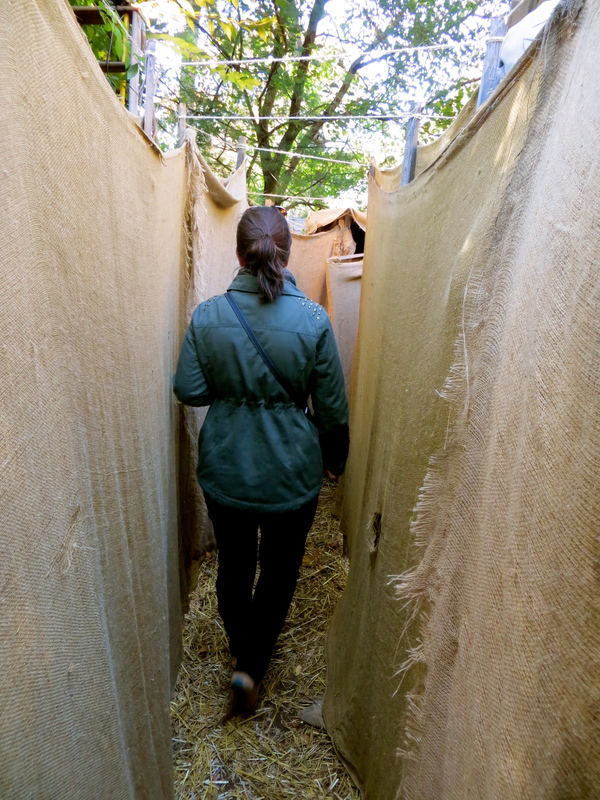 After being fortified with burgers, onion rings and French fries, and pickles, we headed off to our family friend’s maze – or shall I say, their “Loops and Traps” maze (I don’t know what that means). They do it every year for Halloween and it is always great fun to try to get through the exceeding difficult maze and then gorge oneself on Halloween candy. It is the highlight of my fall to-do list. The thing is that I am a ‘fraidy cat. Horror movies, haunted houses/hayrides, and clowns FREAK me out. I went to a haunted maze as a freshman in college and freaked out two “zombies” conducting crowd control at the entrance by bursting into tears and SITTING DOWN on the ground. Yes, I am an embarrassment to my family and friends (but by now, they should know about my aversion to all things frightening). So I made my sister go first! 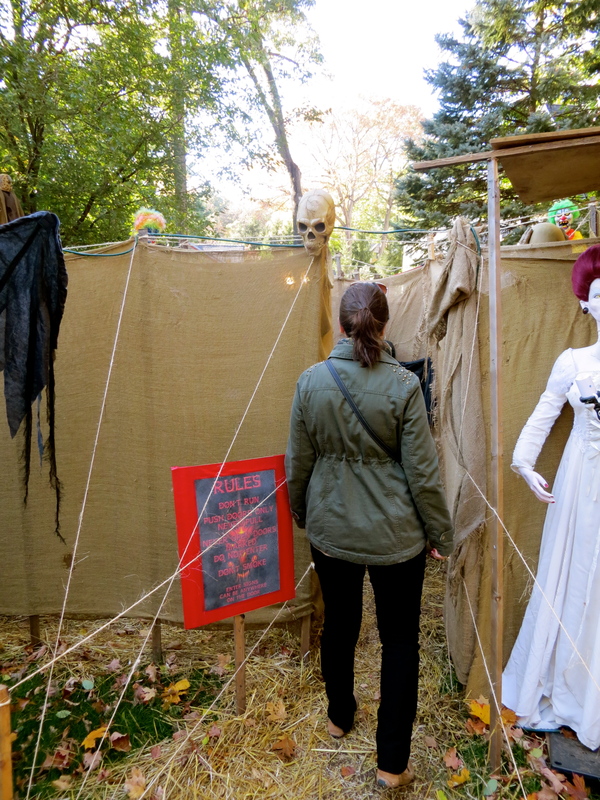 In all seriousness, the “maze creatures” (high school and college kids hired to wear scary masks and jump out at people in the maze) only are present at night, which means that I am usually okay going through by myself during the day. But it is always good to have some one in front of you. Plus E has much better directional sense. See, she’s leading us to victory! (I think). 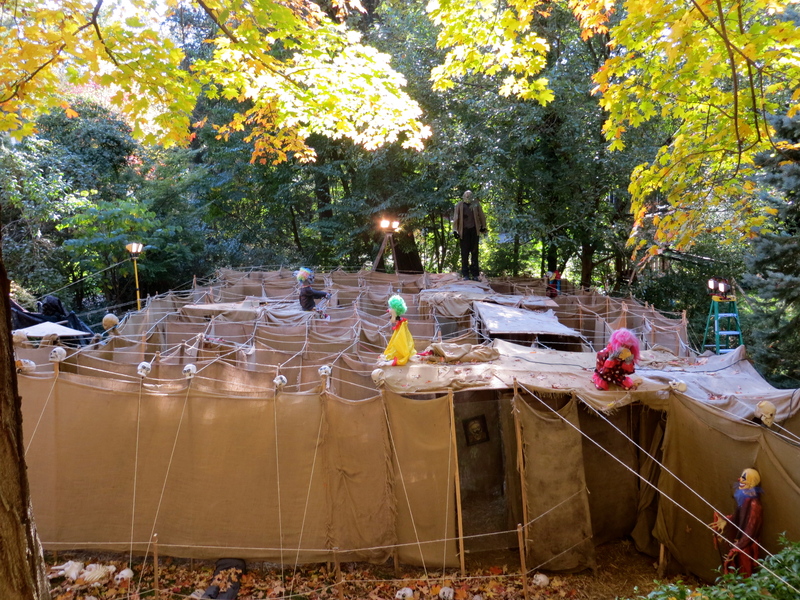 All in all, it took us about 45 minutes to get through the maze once – a very impressive time (it usually takes 1+ hour). We went inside to warm up and chow on some sugar. These cute little cupcakes were waiting for us – the perfect end to the perfect day. Sunday was church, packing, and nap time before heading back up to school. It was the perfect weekend to cap of the Halloween season and put me in the Thanksgiving mindset. What are your Halloween plans this year? 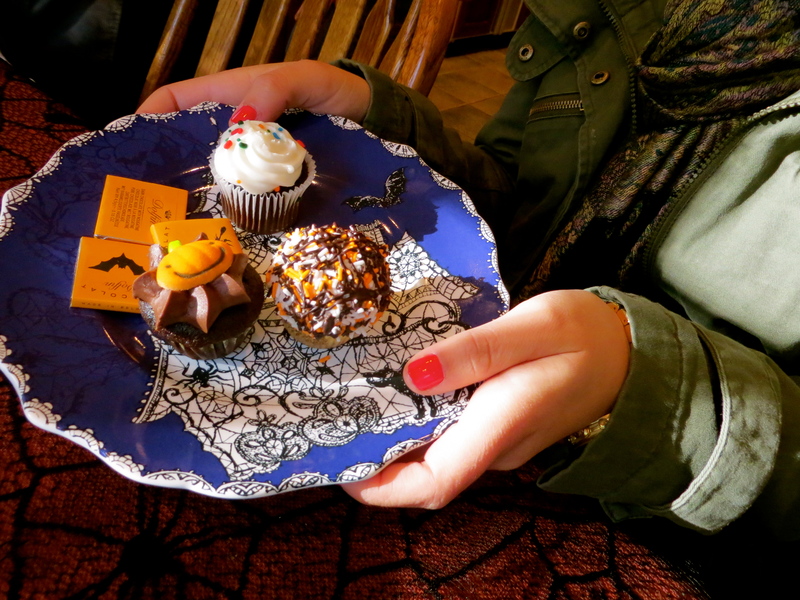 Lasagna and trick-or-treating or a costume party with fancy finger food? Let me know! Great shout out to the maze! Actually, in the “leading us to victory” picture shown, you were hopelessly lost, and you would have to go back to the beginning and start again. Katherine..We can’t tell you how much we enjoy your blog..keep them coming! Sorry…Halloween in Greece is a no-show so I can’t contribute.